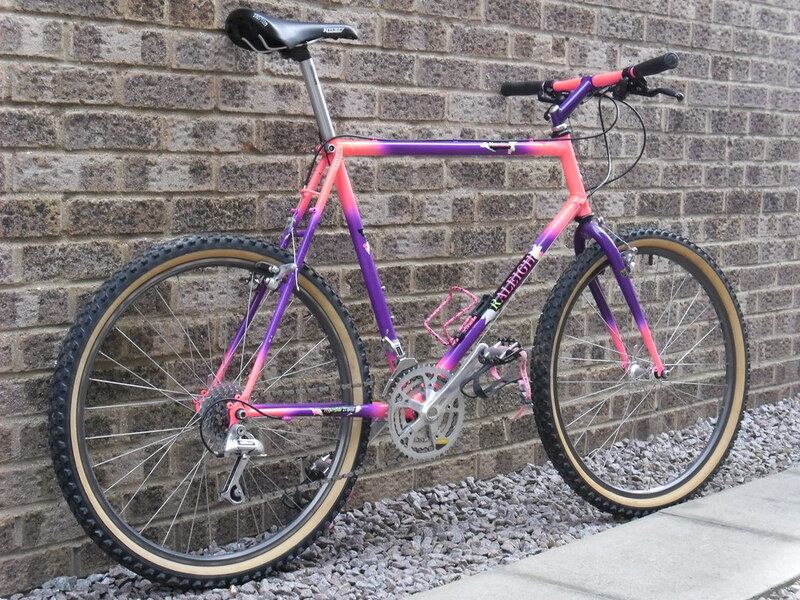 A rather nice, vintage Raleigh mountain bike came up for sale recently on retrobike, which set me tripping on nostalgia via google image search. Raleigh did some excellent mountain bikes back in the day – see my titanium Dynatech Diablo and my titanium M Trax 300, for example. But by the early 90s, Raleigh’s steel framed bikes had come to be seen as a bit naff, unfairly some might say in hindsight. However, twenty years on a bit of digging on google and retrobike yields some great examples of surviving 90s Raleighs. And while they don’t have the overt XC racy looks of rival brands like Marin, Cannondale, or Orange, I still find them visually appealing in a way that’s hard to explain. Perhaps this is partly down to details like the lugged frame design and the Raleigh head badge, which hint at the heritage of bicycle manufacture at Raleigh and give a vintage feel to an already retro bicycle. Pure awesomeness in the form of a Reynolds 531 mang-moly steel frame. 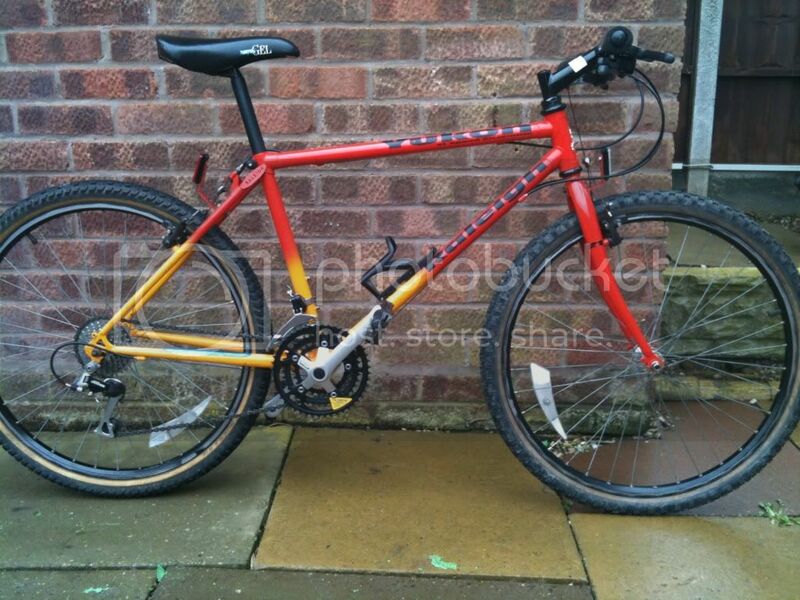 Photo from a retrobike thread dedicated to Raleigh MTBs. I’m now currently building one of these myself. … from the same retrobike thread as the Thunder Road. Another 501 frame. … again, from the a retrobike thread. Reynolds 531. If you like what you’ve seen, then please do go and check out the ‘get ya raleighs out for the lads’ thread on retrobike. 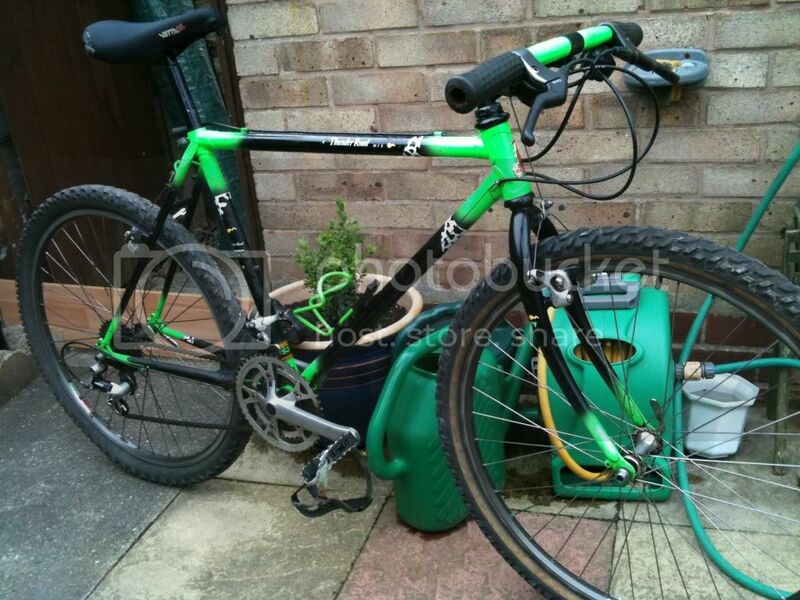 Great stuff love bit of Raleigh , got few Raleigh retro’s at moment, Torus Lx Titanium Dynatech, Kalahari & Mtrax 1000s .